For almost two decades, activists in the United Arab Emirates have been fighting the flow of endangered species into the country, kept by wealthy residents as status symbols. "After 17 years of fighting to stop the illegal import and keeping of endangered wildlife as pets, I still see people illegally owning them," Ronel Barcellos, Abu Dhabi Wildlife Center director, recently told Gulf News. Legislators in UAE have enacted barriers to prevent the import of endangered animals into the country. Enforcement of these laws, however, is lax. In 2012, the country saw increasing numbers of tigers and lions in private ownership, as well as an increase in permits, as dictated by law under the Convention on the Illegal Trade of Endangered Species (CITES). But many big cats are without papers in practice, Peter Jaworski, a veterinarian in Dubai, told The National. Young cubs, moreover, are often improperly cared for, leading to risks for both cat and owner. 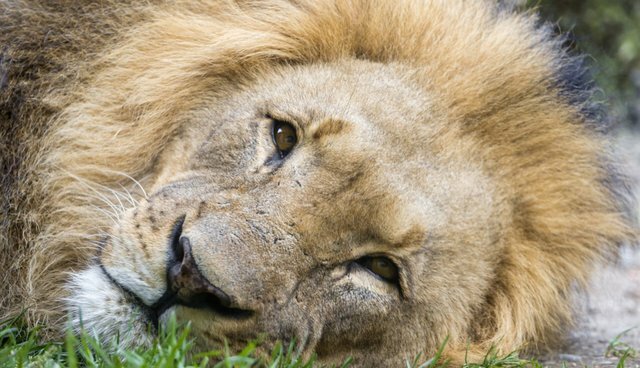 "When you get a lion, legally or illegally, the poor animal is condemned to death," Jaworski said. Among the animals confiscated in the UAE in 2011, according to the most recent CITES report, were a live lion, cheetah and rock python, as well as various animal parts like elephant ivory, hippopotamus teeth and an alligator head. Considering the amount of money spent bringing the animals into the country, Barcellos believes that levying fines may not be sufficient enough to deter the exotic trade. She recommends tightening points of entry into the UAE, and training port authority officers to recognize endangered animals. In the face of high demand, in addition, places like the Abu Dhabi Wildlife Center act as educational nodes, bringing the problem of endangered pets into sharp focus. The illegal pet trade goes far beyond the UAE, of course. Between 2011 and 2012, U.S. CITES reported the seizure, for example, of 10 live pangolins, coral and turtle eggs, in addition to numerous violations including ivory and rhinoceros horns.